← How to intercept a print job, convert it to PDF file or plain text file or image file and then forward the print job to another printer? We've ordered the "DWG to Image Command Line End User License" software. Now, we used the V3.2 program from your company website, and it can be run with the series number! Although the program can running with serial number, we have some problem, please help us to check it. Conversion fail, why is no any extra debugging information?! If we use the "-dpi" parameter, the conversion file has a lot of blank areas above and below (please see the attachment); and if we don't use the "-dpi" parameter, it automatically removes the blank. Is there any parameter that we can solve the blank space problem?! We think to use "zoomtype 2 (Zoom Extents) parameter, It should be possible to remove the white space, but in fact, this parameter has no effect. Do you have any suggestion for that?! (4) Could you please inform us which version program is running stability and suitable for us to use?! 1. Conversion fail, why is no any extra debugging information? after you run above command line to process your image file, you will get a trimmed image file automatically. 3. "zoomtype" parameter is just zoom DWG content to fit the paper size, it can't remove the margins, if you need to remove the margins, you need use imgconv.exe application. How to convert your image to vector PDF, DXF, SVG formats (png to svg, jpg to svg, png to dxf, jpg to dxf, etc.)? VeryDOC has a Scan2CAD software also, with this Scan2CAD software, you can convert your images, such as PDF files, or BMP, or any other image, into a clean, editable Vector file, such as DXF, PDF, SVG, etc. formats. 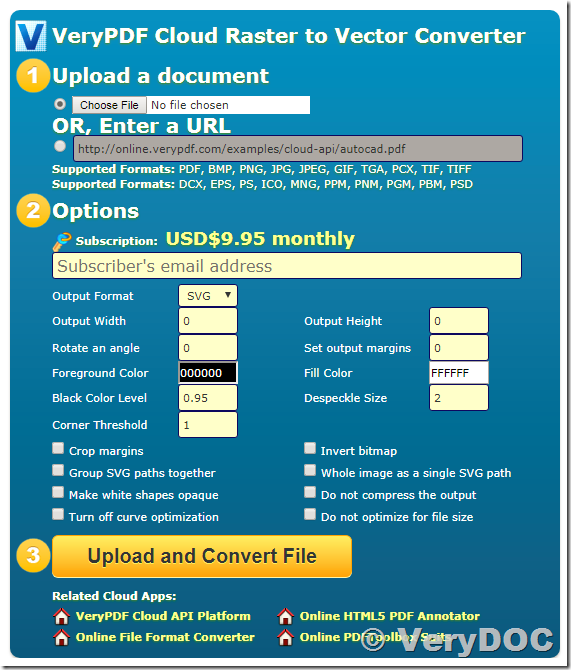 Click on "Choose File" button to choose an architectural image, choose "Output Format" with PDF, SVG or DXF format, and choose some other options, after that, please click "Upload and Convert File" button, you will upload the raster image file to our server, our "Cloud Raster to Vector Converter" will convert this raster image file to vector DXF, PDF, SVG, etc. formats, you can download and save the converted vector file to your local system properly. Is there an API or library for converting DWG to any standard image format? VeryDOC DWG and DXF Series Products. 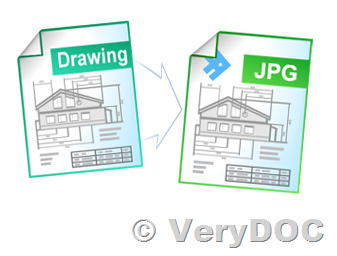 Batch convert CAD, DXF, DWG, DWF files to PDF, TIFF, JPG, PS, EPS, etc. formats, and convert PDF files back to DXF and DWG files. 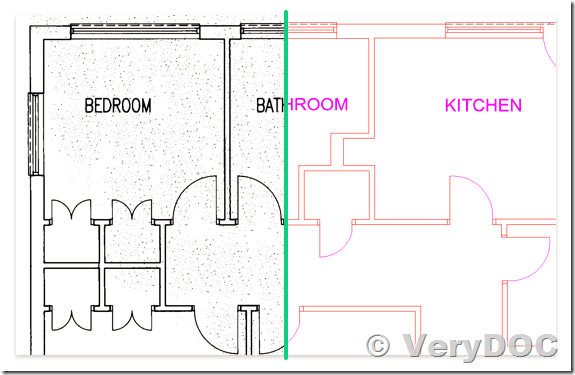 This entry was posted in DWG to Image Converter and tagged AutoCAD to image, cad to image, DWG to image, dwg to jpg, dwg to png, DXF to image, scan2cad. Bookmark the permalink. Many thanks for your offer. We tried to run the imgconv.exe program with -border parameter, but it seems can only run "one file", please see the attachment. We would like to run "one Folder" (all *.png files) to another folder name, How can we do? Would you please help us to do it?! Thank you so much! for %F in (C:\in\*.png) do C:\verydoc_dwg2image_cmd\imgconv.exe -trim -border 50 -bordercolor white "%F" "C:\out\%~nxF.png"